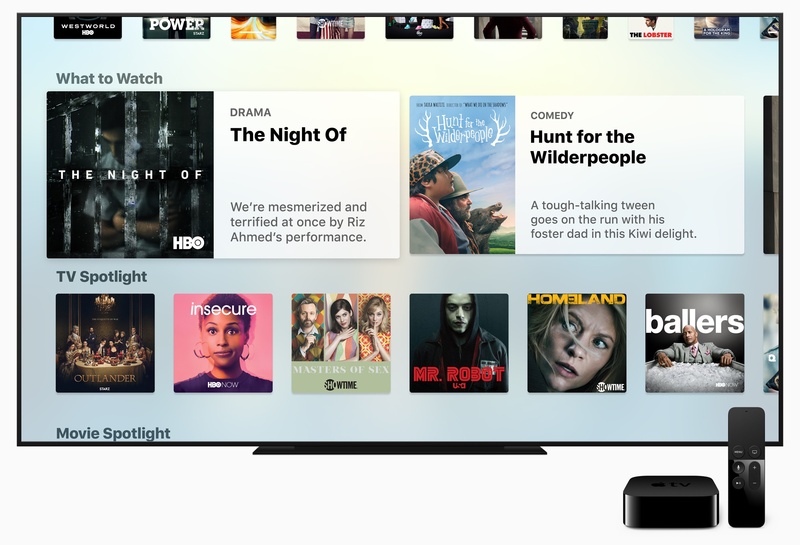 The Apple TV’s stage time at WWDC was limited to an announcement by Tim Cook that Amazon Prime Video will introduce an app to Apple’s streaming television-connected box later this year. Although they didn’t receive stage time during Apple’s WWDC keynote, Zac Hall at 9to5Mac discovered that Apple’s first beta of tvOS 11 includes a handful of additional features that look like they could come in handy. The first tvOS 11 beta includes automatic pairing of AirPods to Apple TVs. When you pair AirPods with an iPhone, the settings are currently propagated across other iOS devices and Macs that are signed into the same iCloud account. That means you only have to pair AirPods once and then you can easily connect with other devices and Macs. However, Apple TVs were left out of the original implementation of this feature, which required them to be manually paired each time someone wanted to use AirPods with an Apple TV. tvOS 11 promises to eliminate those extra pairing steps by automatically pairing with Apple TVs on the same iCloud account too. The tvOS beta also includes Home screen syncing among multiple Apple TVs. If you own more than one Apple TVs and want a consistent experience across them all, turning on Home Screen Sync ensures that the same apps will be installed automatically on each and organized in the same way. Finally, the tvOS 11 beta has a setting for automatically switching between light and dark mode based on the sunrise and sunset times where you live. The tvOS 11 beta is currently for developers only but will be available as part of Apple’s public beta program soon.